Georgia’s wine industry was recently approved under European wine standards, therefore any Georgian bottle sold in the EU needed to be able to compete for valuable shelf space in the new market. 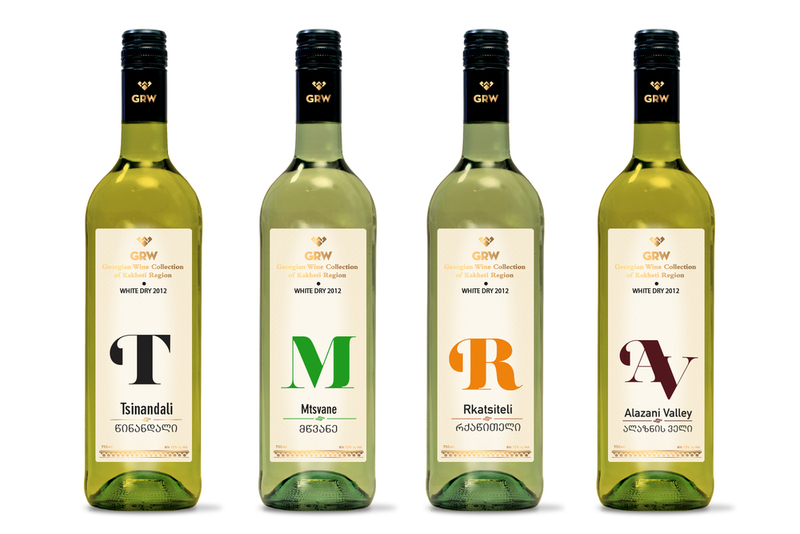 The GRW brand redesign needed to show how special and unique this wine is while still maintaining the colourful Georgian roots. Inspired by Georgians’ love for wine (particularly their own Khaheti region’s bottles), we created a logo full of rich symbol and shapes—the heart, the diamond, the chiselled mountains of the Caucus, and the distinctive shape of the clay “kveri” in which wine ferments underground. We also used a unique Georgian pattern on the packaging, as well harnessed as the vibrant colours of the region.